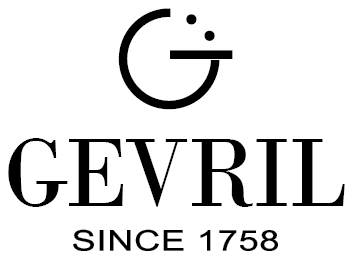 Gevril Horlogerie has had a long and illustrious history. Jacques Gevril, who founded the company in 1743, became Switzerland’s first watch exporter when he was appointed Royal Swiss Watchmaker to the Spanish Crown. Many of Jacques Gevril’s descendants followed in the family tradition and became master watchmakers as well. Recently, Gevril owner Samuel Friedmann discovered a watch on display at the Musee de l’Horlogerie in Geneva, Switzerland that had been created by one of these relatives. The watch had been made by Daniel Gevril, who also happened to be Mayor of Geneva at the time. The remarkable thing about this beautiful timepiece is that it features a dial that is very similar to several Gevril watches the watchmaker is currently producing. As you can see, the dial of this historic pocket watch is neither new nor old. It is classic! Timeless styling and impeccable craftsmanship have always been the hallmark of a Gevril timepiece. You could see the quality then, and you can still see it today. 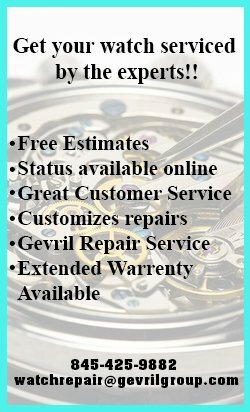 If the timeless styling and superlative craftsmanship are important to you, contact your authorized Gevril dealer immediately. Gevril watches are manufactured in limited numbers, and a only few lucky individuals can actually own one instead of merely looking at it in a museum. Gevril Group is the worldwide agent for Gevril Watches. Meet us to view the Gevril exhibit at Baselworld 2012, Hall 1.1, Booth A-13. Contact Michela Bonincontri by email or at 845-425-9882. Please subscribe to the Gevril Group newsletter and blog digest. Comments are welcome.